If you're still having problems with crashes there are a few things to try - it looks like there are a few different potential causes (and I'm sure some we still don't know about). 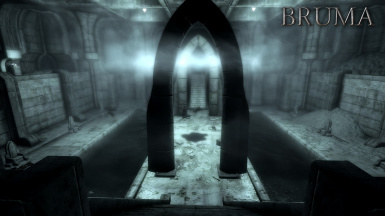 Make sure you're running the latest version of Bruma (1.3.3) and the DLC integration patch. This is especially important for windows7 users. Check that you're using the latest version of direct x for your version of windows. If you're having problems with invisible textures (e.g. invisible wolves and the houses in Applewatch) make sure you have the BSAssets and BSHeartlands.esm at the bottom of your esm load order. If you've tried everything and still having problems please make a post in the bug report section with details of your PC, operating system, what version of Bruma + patches you're running and what you've tried and we’ll do our best to get you sorted. Make sure you download the DLC integration patch! You'll need it to get everything working properly. 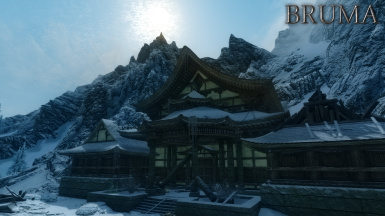 So are Beyond Skyrim Bruma and the larger Cyrodill mod going to eventually be one mod? or will they stay separate worldspaces? 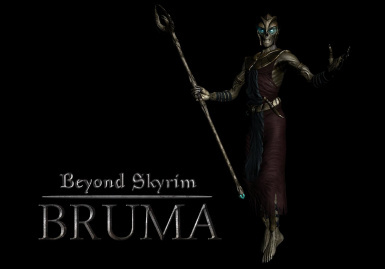 Bruma is the Cyrodiil mod. 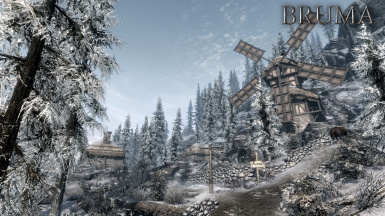 You'll notice that the Bruma esm is called "BSHeartlands" rather than "BSBruma"; this isn't a mistake. 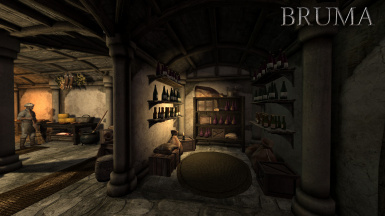 Bruma is simply a section of Cyrodiil itself that we've cut out from the WIP content to post as a prerelease, and will (hopefully) seamlessly update into the full Cyrodiil release version. 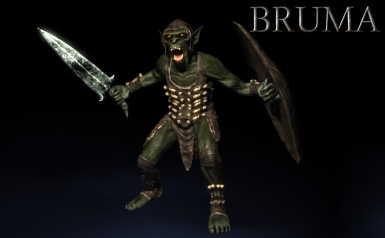 Any word on when the new update for Bruma is coming? Its getting done in parrallel with the rest of Cyrodiil so it keeps getting pushed back internally. I can't be the only person who read this and heard that clip from Spaceballs. I have an annoying problem with the Bruma mod. 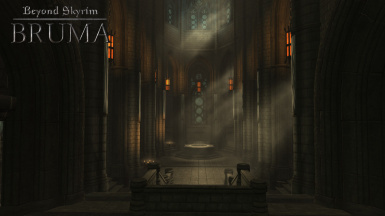 I've installed Bruma on a fresh Skyrim installation (first with NMM) but did not play it until now. So after a lot of playing in this Skyrim I now wanted to enter Bruma for the first time. So everytime I try to enter Bruma (through Pale Pass or Snake Pass doesn't matter) the loading screen appears and after a few secounds breaks of and a new loading screen appears and I'm back in Skyrim so I'm unable to enter Cyrodiil. I've deinstalled the mod today and reinstalled manually but the problem remains. The load order is coorect. I'm as well using the german translation if it matters. Does someone nows the problem or have an idea to help me? There's a known issue with the German translation patch which makes loading into Bruma impossible. Uninstall the patch and see if the problem persists, then get back to us about it. After deinstalling the german translation it worked. Excellent to hear that! Enjoy your time in Cyrodiil. During the battle between new Imperial Soldiers and Bruma guards, Rigmor dies and after the fight im supposed to talk to her but i cant because she's obviously dead, what am I supposed to do ? What you should do is talk to the Rigmor devs. We have basically nothing to do with that mod. The Rigmor of Cyrodiil mod gives you a resurrect spell. I really want to install this mod but I don't want to crash Skyrim since deletion of Bruma is not advised. Update: I've successfully installed this mod, while I really appreciate great work mods made to make it work, there is very little amount of enemies (at least in wild life) just like in vanilla game which is a little bit disappointing :( place is really huge and I certainly like this mod, but content in terms of enemies should be updated. Try adding mods such as 'Sands of Time' (SoT) and/or 'organized Bandits in Skyrim' (OBIS). with these mods they should create spawns either on the surface or in dungeons as you configure them. Neither of those mods will help with Brumas enemy density as they are for the base-game. 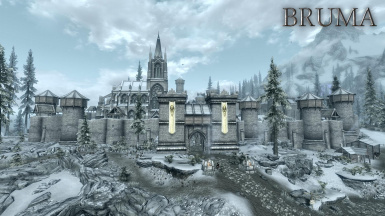 As to the matter for Brumas enemey density it is balanced the same as any of Skyrims Holds, albeit to a lower level. There will likely be a fficulty boost in the full release alongside Cyrodiils high level regions. @bchick thanks for suggestions, althought I don't want more bandits enemies, I'd prefer to encounter more monsters e.g. from ICM. @Oldhighborn So low density is caused by my low level character? (11) honestly I am not having too many enemy even in Skyrim region with ICM. Maybe they appear more often when I am higher level I don't know... I didn't play Skyrim for few years so I forgot how it works. It's not related to level, it's simply the amount of spawn nodes that enemies can come from. Regardless of what's spawning, it has to come from a preset spawn node in a given cell. 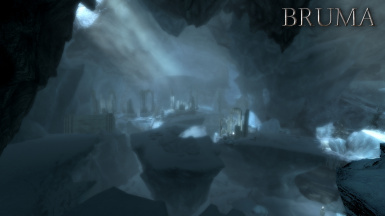 Bruma is balanced to have a similar number of spawn nodes as Skyrim, so you'll see similar amounts of enemies. Vern was just commenting on the difficulty of the enemies themselves, which spawn at a relatively low level. Hmm but why are spawns so restricted? is it caused by game stability or what? I don't understand why would they (not specifically talking about Bruma creators, but skyrim creators) make so few monsters around the world, I have to walk literally 3000 steps to see something interesting, only common encounter are wolves which already bores me. I have to agree that there seems to be a restriction to the spawns. I was able to get more spawns from 'Sands Of Time' in the dungeon areas but only a few … if any … on the surface from 'OBIS'. It may be correct that these mods (SoT and OBIS) are really only effective in the main Skyrim areas. I can see where patches would have to be made to enable the mods effectively in Bruma. 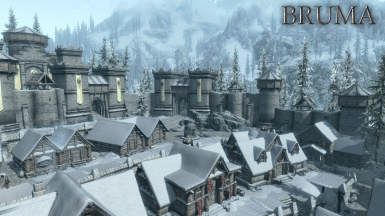 Hello … I used 'Alternate Start' to begin my game in Bruma and have undertaken quests from there. One of the quests is to find out what happened to a soldier last stationed at Pale Pass. 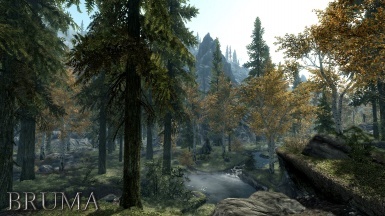 I know that pale pass is north of Helgen having gone that way but (1) Where is the marker for the quest? 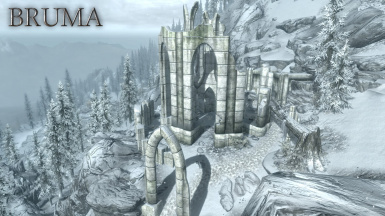 (2) I have tried going over the mountains where Pale Pass should be (but the land graphics are pretty bad ) but where is Pale Pass on the Bruma map? (3) Also, should I not be able to travel 'seamlessly' from Cyrodiil into Skyrim? Thanks to all the hard effort. I am really enjoying Bruma! Well first off pale pass is south of Hegen as it is the pass connecting Cyrodiil and Skyrim, more over your questions are based on the false assumption that Cyrodiil and Skyrim are one worldspace, they are not. The quest in-question is centered on Fort Pale pass which is in Cyrodiil near the border gate. To put more simply what Vern said, you can't just cross on top of the mountains to move between Cyrodiil and Skyrim. You have to go though the border gate or the smuggler's cave and enter through a load door. It's just like travel between Skyrim and Solstheim. Hello everyone ! I do have rather unpleasant problem witch beyon skyrim bruma map https://imgur.com/a/sxK0xFL. 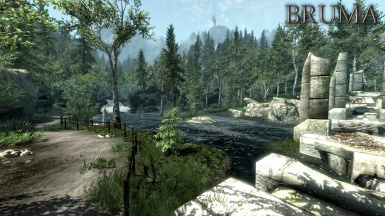 So my mods are many but i think and ssedit says worldspace is modified just by beyond skyrim bruma esps specificly BSAAssets.esm BSHeartland.esm and BS_DLC_patch.esp. Do you guys have a clue what can be couse of it ? iam in the end. Thanky ou for your responds :). Well firstly, how did you install the mod and second, are you using any map mods? If I'm not mistaken, this is a known issue with A Quality World Map, which makes worldspace edits to make its changes to the map. This results in breakages with custom worldspaces such as Bruma. If you have that installed, I'd suggest uninstalling it, starting a new game, and seeing if the problem is fixed. I use IcePenguin's Quality World Map Classic with clear skies, and my Bruma map certainly does not look like the one in Assasini's image. 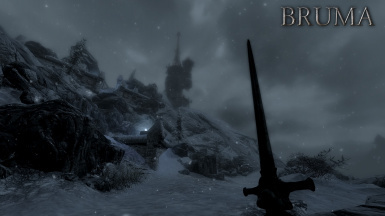 Since IcePenguin's mod is a true Skyrim gem, I think it would be incumbent upon the Beyond Skyrim team to try it out and come up with a solution if they are able to spot such a problem. Maybe the mod team could post a screenshot of what their Bruma map looks like. It will vary based on a user's load order and other outside mods affecting it. If properly installed and patched, AQWM can be used alongside it. That said, the issue isn't derived of our mod, so there's nothing we can do about it on our end. The onus is on the AQWM team, in that regard. There have been similar issues with other map replacers in the past, all of which have been fixed through third-party patches for the map mod itself. ...also, I'm impressed that someone used "incumbent" in that manner. Not often you see people remember the other definition. 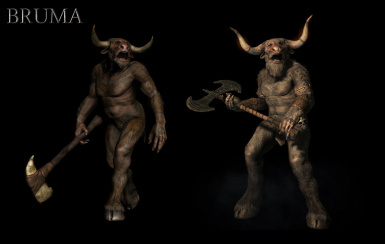 Does/Can this edit the leveled list of inhabitants of Skyrim so we can get the goodies added by this mod there as well? We wont since that would be interefering with the base-game, but you can feel free to make a submod that does so yourself. No problem, I was just curious! Thank you for the swift response time, and I, of course, love the mod!